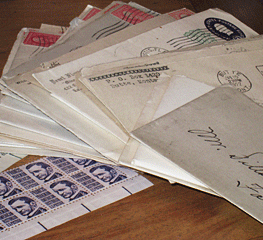 National Letter Writing Day is Friday, Dec. 7. The date is timely because it serves as a reminder to reconnect with the people you care about during the holiday season. 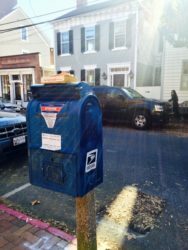 The history and origin of National Letter Writing Day is unclear, but it is perpetrated by a website, National Today, which endeavors to find a reason to celebrate every day of the year. National Today is the inspiration of PR Hacker, a broad-based San Francisco public relations firm specializing in technology and health. 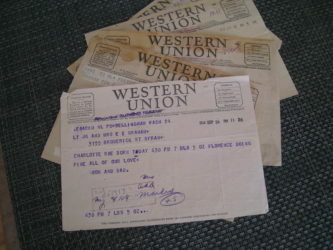 National Letter Writing Day is different from World Letter Writing Day, an endeavor seemingly spearheaded by one individual in Australia, which falls in April. Isn’t it wonderful that there are so many ways to celebrate the art of letter writing? And here we are, just before holiday craziness sets in, at the perfect time to sit down to hand-write your personal notes to your friends and family. Or, if you prefer, type a longer letter that fills people in on the highlights of your past year. Does that seem a bit impersonal? Not to me! I love receiving them, and knowing what you all are up to. The late President George H. W. Bush reportedly was a prolific letter writer. In this era of contentious politics, he serves as a role model for civility and humanity. As he departed office on January 20, 1993, he left behind a hand-written letter to his successor, President-elect Bill Clinton. When I walked into this office just now I felt the same sense of wonder and respect that I felt four years ago. I know that you will feel that, too. I wish you great happiness here. I never felt the loneliness that some Presidents have described. There will be very tough times, made more difficult by criticism you may not think is fair. I am not a very good one to give advice; but just don’t let the critics discourage you or push you off course. Your success is our country’s success. I am rooting hard for you. President H.W. Bush received a short, humorous note from his predecessor, President Ronald Reagan, but it was he, President H.W., who set the standard. His successors, Presidents Bill Clinton, George W. Bush, and Barack Obama, have all continued the tradition. It is likely that in our lifetimes we may never receive a personal letter from a famous person, but still, your letters count! They are important, not only for the pleasure of reading them, but also as part of your family’s history. 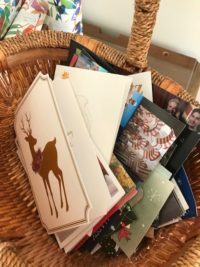 Those annual letters, sent with your holiday card, create a chronology of your life. So remember, Dec. 7 is National Letter Writing Day. 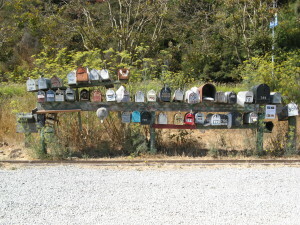 Whether you write one letter or a dozen, be part of this great tradition. And to each of the Social Correspondence readers, I wish you a happy, healthy, and safe holiday season!